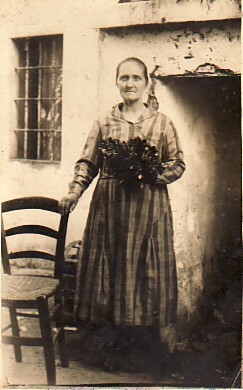 Above Right: Visiting family. 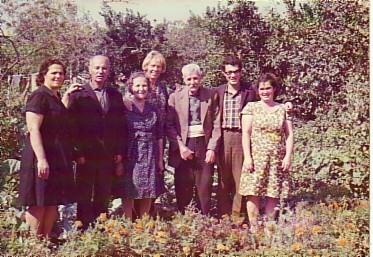 L-R: mysister, Efstratia and her husband, Panagiotis; my aunt Ilykrineia; unknown; my father, Achilleas; my nephew, Nikos Kefalas; and my sister, Sophia. Above: Out with friends. L-R: myself, Manolis Giannaros and Panagiotis Giorokellis. 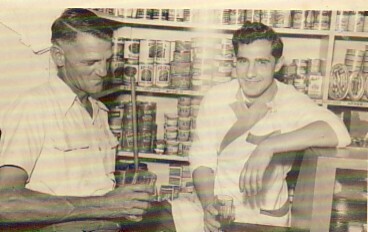 Above Right: With a customer at our milk bar in Guilford, Sydney. Circa 1952. Above: Another photograph at the milk bar in Guilford. I am with my partner, Manolis Laoutaris (left). 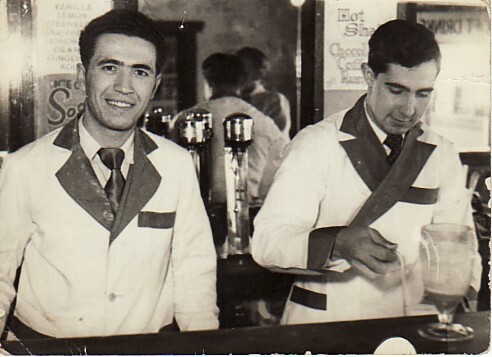 We would later become partners at the Olympic Delicatessen and Butchery in Bankstown. 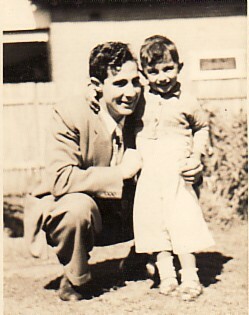 Above Right; With my godson, Elias Laoutaris. Above: Getting ready for Apokries. 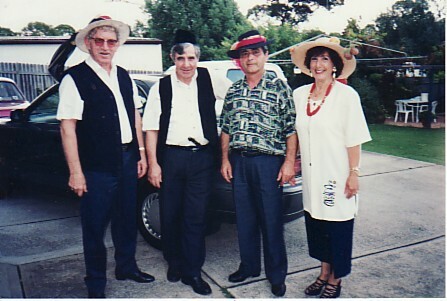 L-R: our neighbour, Charlie, myself, our neighbour, Kostas, and my wife, Maria. 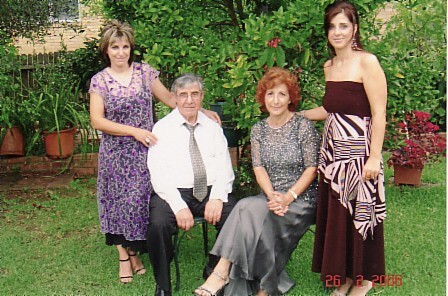 Above Right: With my wife, Maria, and our daughters, Ioanna and Efstratia.